Man I love spending time with family. Could be a Sunday dinner at Mom’s or a big birthday/holiday with everybody, nothing beats sitting in room with your loved ones, laughing it up about God knows what and just having a great time. 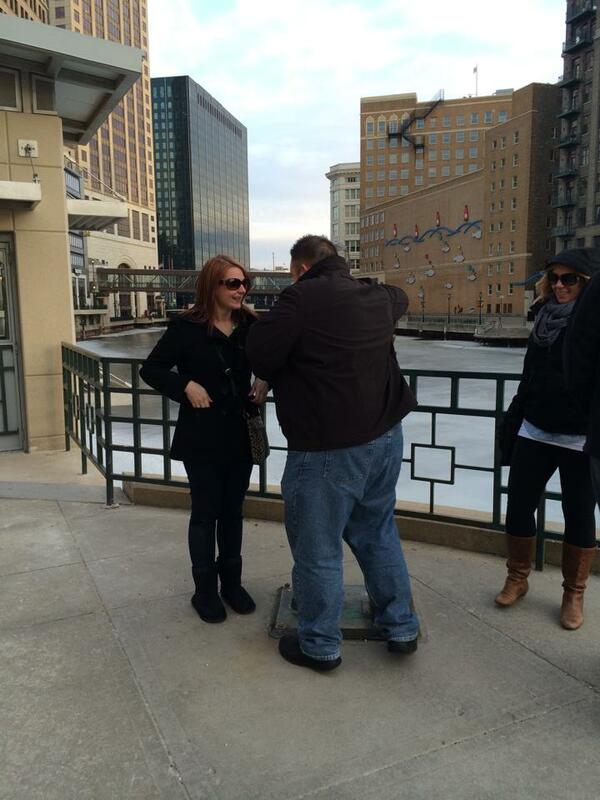 That family feeling is part of the reason I was so pumped to visit my cousin Kim last weekend in Kenosha, Wisconsin. She lives out there in the Badger State for her job, which makes seeing her outside of a phone or tablet screen rather difficult. Steph, Jess, Steve and I had found a weekend where we could go and visit, as well as a financially manageable travel plan to make it work: we’d fly Frontier Airlines out of Wilmington to Chicago’s Midway airport both ways, saving a ton of money in the process. It was happening! We were going to Kimmy Country! You can imagine our excitement when last Thursday came and we piled into Jess’s car on the way to the Wilmington/New Castle Airport. Unfortunately, getting to Chicago would prove more difficult than originally thought. So we arrive at the utility shed that is Wilmington airport (seriously, I think the main hall of my high school is bigger than that nonsense), park the car for free for the weekend, and go check in. Once we reach our gate (the only gate at this airport, visible from the check-in counter), we find out our flight has been delayed. From 3PM to 8PM. Rats. After confirming that we were allowed to leave the airport, we set off on a journey across the street to TGI Friday’s, where we got lunch. Before we could enjoy our meal, however, we saw a new status for our flight: the dreaded C word Cancelled. Seems there were maintenance issues in Orlando on the plane we were to take out, and for safety reasons they had to shut the plane down. Look, that’s completely understandable and I don’t begrudge them one bit for making that decision, but the “customer service” we got afterward was dreadful. The most the front desk at the Utility Shed did was hand us a card with a phone number and bluntly say “Call this number, we can’t help you” before deserting the front desk all together. Phone calls to the number were met with long wait times (anticipated) and agents whose sarcastic use of “sweetheart” also sent a cell phone out the window. We get that there’s not much more you can do other than refunds and vouchers (both of which I did receive) but there’s no reason to talk down to us or blindly turn us away without any semblance of assistance. Sorry Frontier, but I don’t ever want to set foot on one of your airplanes again, even if you have cool animals on the top of them. This bad taste in my mouth will never go away. Eventually we did get to Midway, but it took some divine grandparental intervention to do so. Once we arrived, we had an absolute blast. 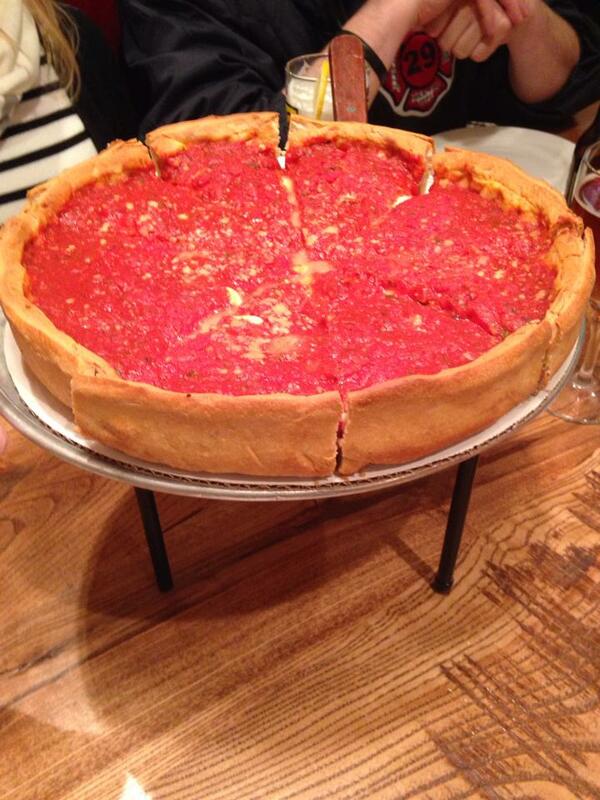 Chicago is one of the coolest cities in the country, with the cleanest streets I’ve ever walked on and some damn good deep dish pizza (because of course I ate deep dish pizza). If you follow me on the really cool UnTappd beer app (and why don’t you if you don’t?) you already know that I encountered (and mostly enjoyed) seventeen never-before-tasted beers out there, and there’s a TON of local brews that I didn’t get to. I’ll just have to go back and see Kim again, I guess! Picture time (not in chronological order)! 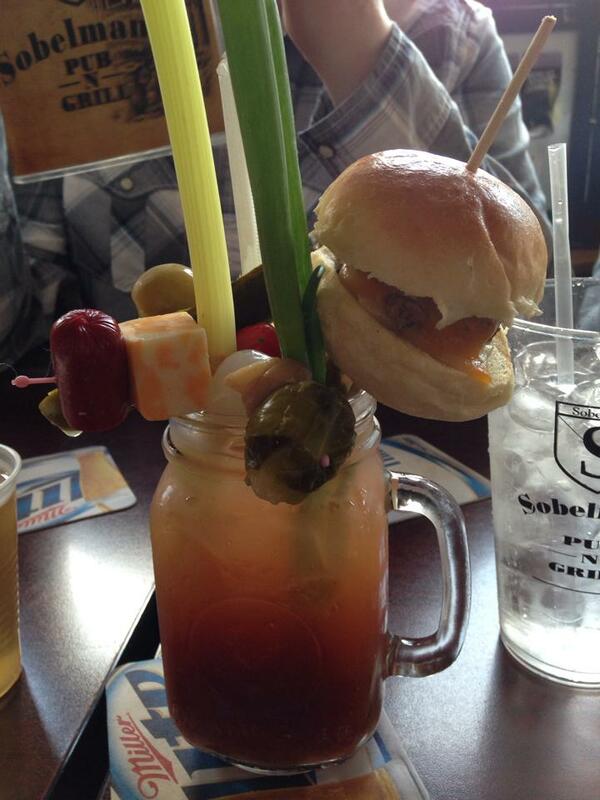 These are the Bloody Marys sold at Sobelman’s in downtown Milwaukee. Pure insanity. 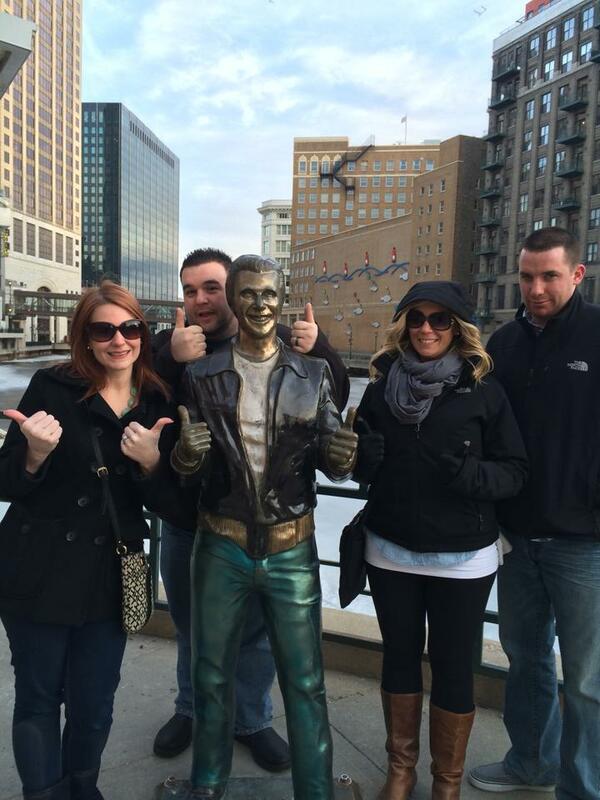 Milwaukee’s famed Fonzie statue. I’m taller than it. But I still liked it enough to give it a hug. 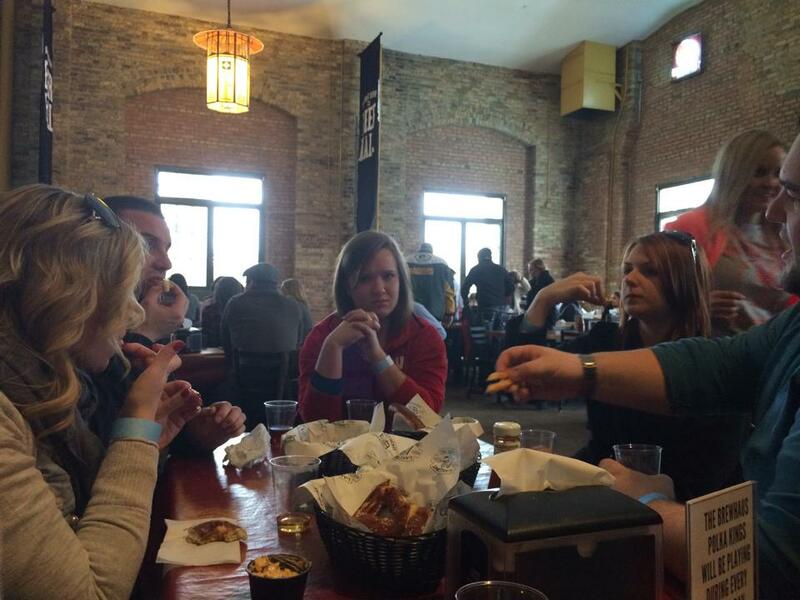 A few pictures of our time at Lakefront Brewery in Milwaukee. 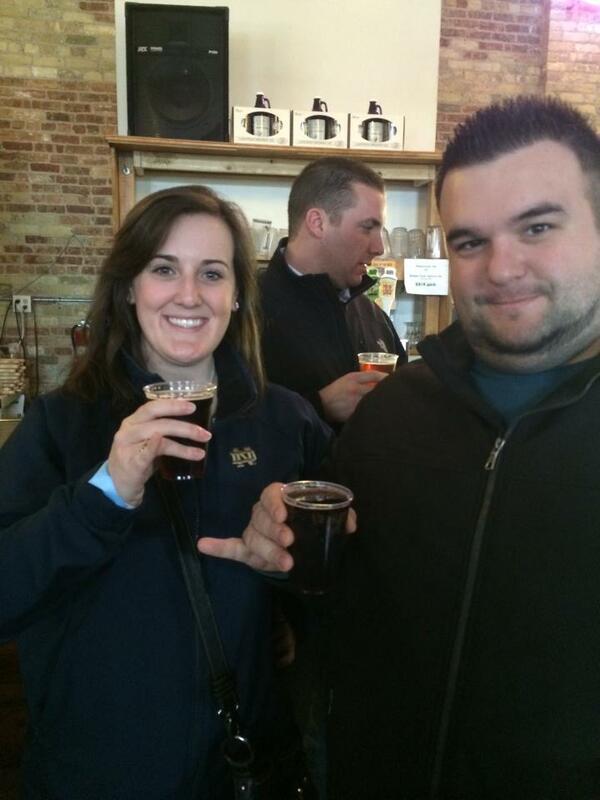 Good beer and a great tour. That mug is the mug the Brewers mascot used to dive into before they built Miller Park. 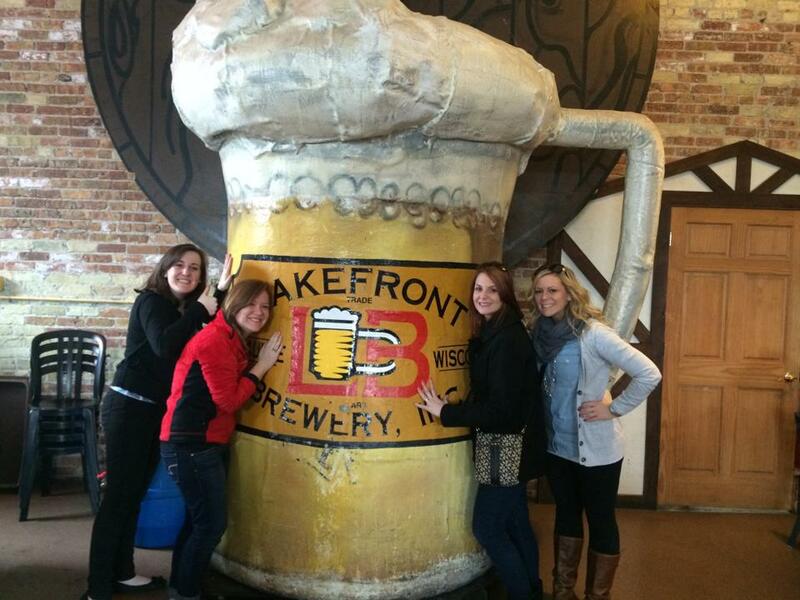 Lakefront also owns the mascot’s original shack AND the original beer bottling line from Laverne and Shirley. We sang the theme song during the tour. It was awesome. 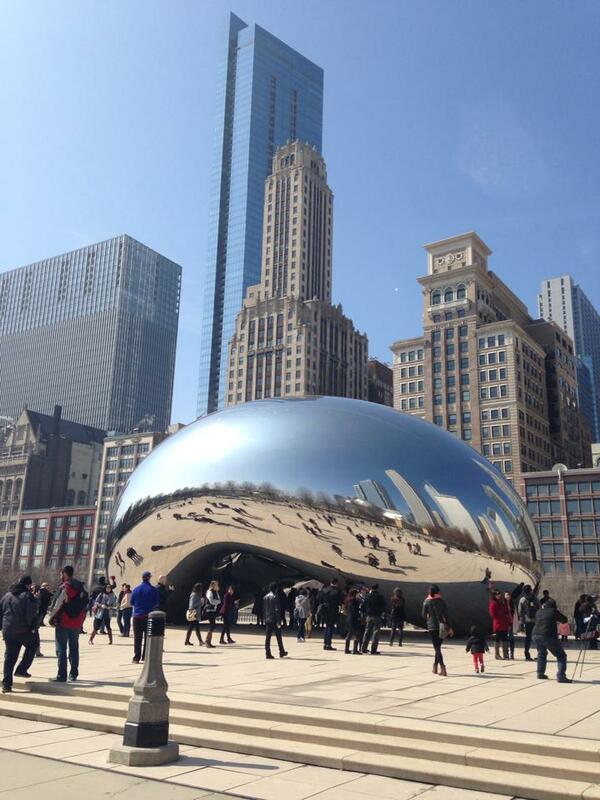 The Millennium Park bean. Not sure what the significance is, but it’s pretty cool. 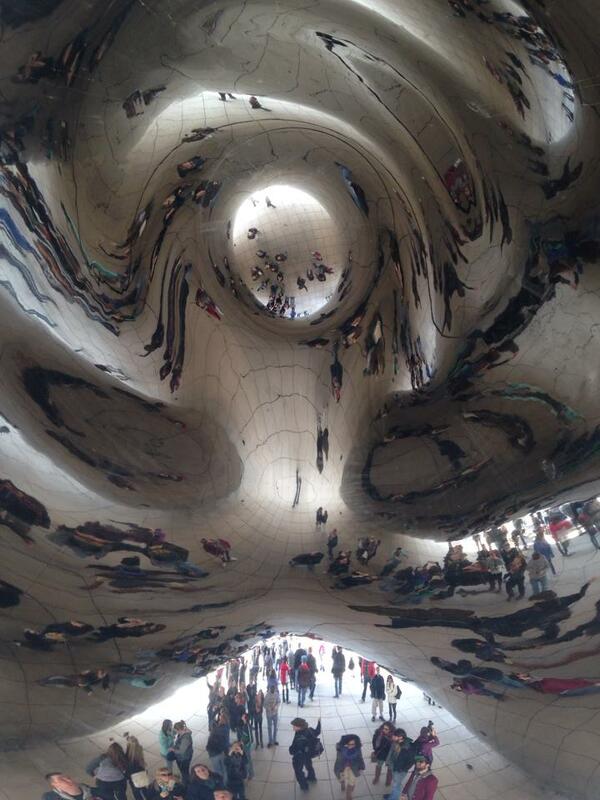 If you go under the bean and look up, this is what you see. It’s trippy. 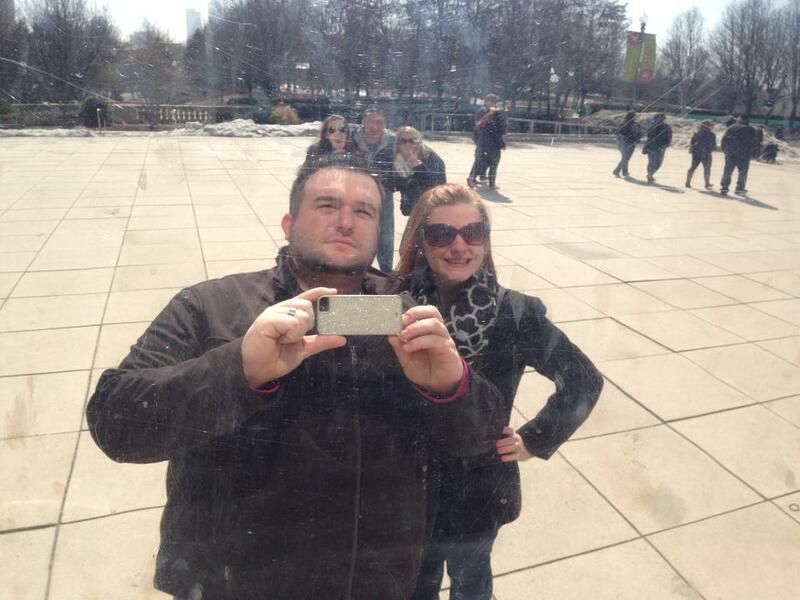 Reflections on the bean. Is this a selfie? 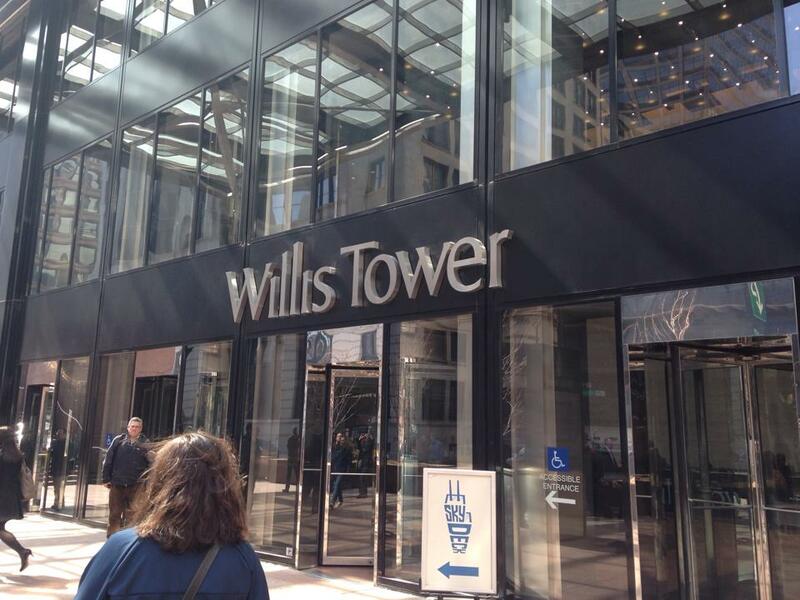 I learned a lot about myself here, formerly known as the Sears Tower. 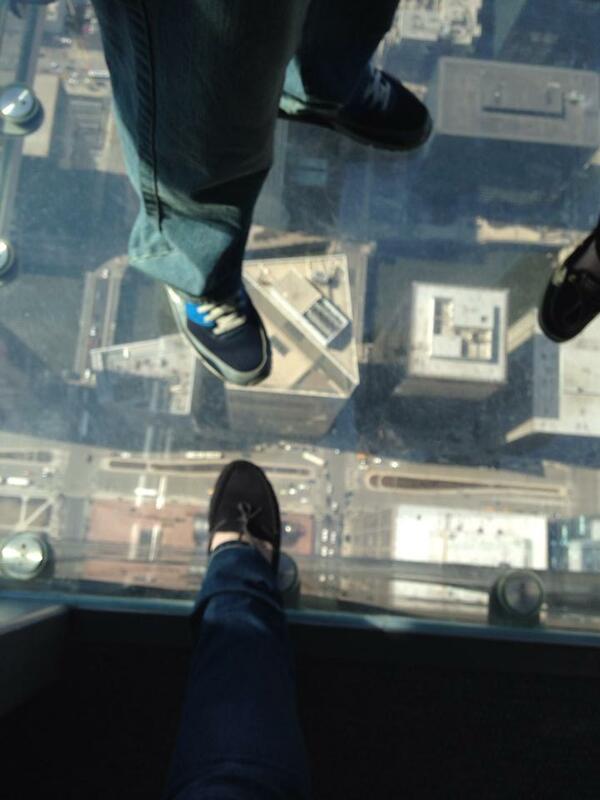 There’s a reason I’m half in the dark, it’s because I’m half on the glass platform. I chickened out. Why? Because I walked onto it looking down and saw this. Nope. 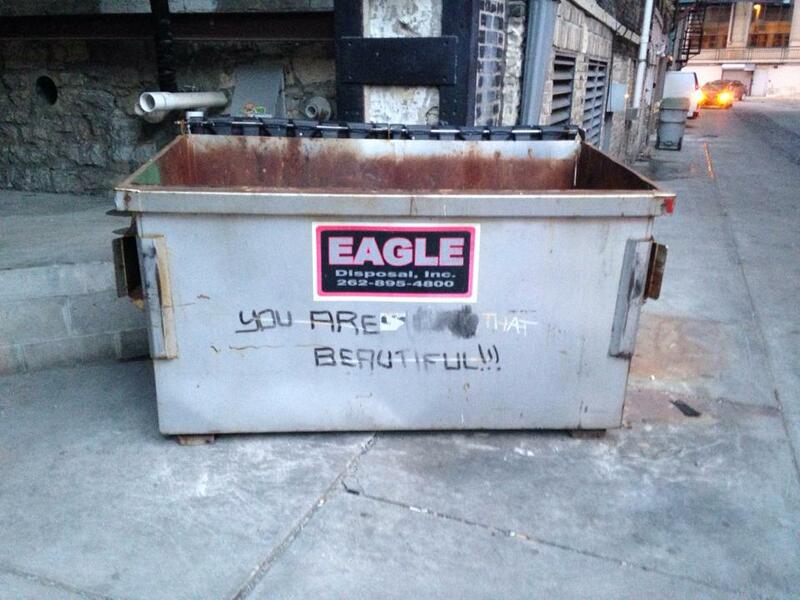 Thanks, Milwaukee dumpster. So are you, in your own dumpstery way. What started as a major trial turned into one hell of a trip. Looking forward to the next time.